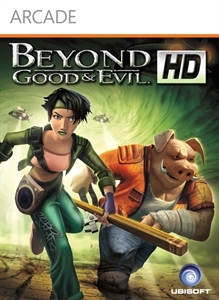 "Beyond Good & Evil™, the award-winning action-adventure game is back! This time play through this innovative thriller in full high-definition graphics. Play as Jade, a young investigative reporter, and expose a terrible government conspiracy. It is up to you and your loyal pig friend Pey'j to save your planet and its inhabitants."